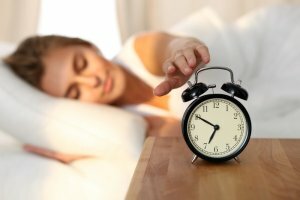 If you struggle with sleep disturbances and would like a natural cure, this article will help you reduce or even end your reliance on medication. As you may already be aware, insomnia and anxiety have a high comorbidity rate. In other words, they tend to co-exist. As understandable as that sounds, determining the root cause of the problem could pose its own challenges. Are you having sleep disturbances because you are anxious, or are you anxious because of sleep disturbances? The good news is that even if you are unable to pinpoint the main cause of your current inability to sleep soundly, you might still be able to restore it by tackling it from different angles. If you are not tired enough to fall asleep, that probably means you will not. Tossing and turning in bed while forcing yourself to sleep may only increase your anxiety and further delay sleep onset. If that happens to you, stop berating yourself and use self-compassion and tolerance to accept when you are not ready to fall asleep. While sleep does not come, rest, do a breathing exercise or read. Do not look at your phone. The brightness of its screen can send the wrong message to your brain and interfere with your sleep/wake cycle. Treating your insomnia naturally is possible, but it requires patience and perseverance. Stick to a very strict waking up time and do not take naps or make up for lost sleep in the morning or during the day. Even when exhausted, get up when the alarm clock goes off. Give your body time to process your new sleep routine and do not give up. If your body is stuck in fear mode (anxiety is a fear based feeling), or fight or flight, it will often not allow you to be tired. You can change that scenario by doing some form of vigorous exercise such as running, swimming, playing football, practicing martial arts or taking fast dance lessons. Whatever your choice, do not exercise vigorously 3 hours before bedtime. Insomnia caused by anxiety and hypervigilance is one of the effects of unresolved developmental/childhood trauma. Complex trauma victims tend to struggle with sleep disturbances over certain periods, which can increase their anxiety particularly when going through tough times in their lives. In such cases, therapy can help you heal your trauma wounds and improve sleep.